An IRS Authorized e-file Provider for Tax Form 2290 online filing is a business or organization authorized by the IRS to participate in IRS e-file of Tax Form 2290 online. It may be a sole proprietorship, partnership, corporation, or other entity. The firm submits an e-file application, meets the eligibility criteria, and must pass a suitability check before the IRS assigns an Electronic Filing Identification Number (EFIN). Applicants accepted for participation in IRS e-file of Tax Form 2290 are called IRS Authorized e-file Providers for Tax Form 2290 online filing. 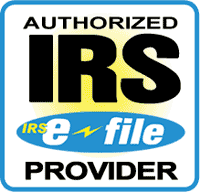 IRS certified providers for Tax Form 2290 online filing, like tax2290.com allow HVUT taxpayers to file their form 2290 electronically (E-File) where the returns are processed faster and with fewer errors. This means quicker refunds and less contact with the IRS. Proof of payment for the HVUT, Schedule 1 copy, is returned to the taxpayer by the IRS through these providers within very less time frames. IRS e-file for Tax Form 2290 provides good return on your investment by saving money on costs of printing, mailing, and form 2290 document storage. It also helps to keep your vehicle & tax information more organized, centralized, and readily available when needed. Certified the IRS for Tax Form 2290 online filing, these providers perform computer checks prior to transmission in order to eliminate errors. Thus the tax calculations are accurate and precise across the applications of e-file providers. Most of the online tax return Form 2290 Online Filing software protects your tax return information using SSL encryption. Thus your sensitive financial information and passwords are secure and safe. Your personal and business information is secured with latest technologies and so would never be exposed. IRS authorized tax Form 2290 Online Filing software providers offer free expert tax professional guidance. Thus you can get clarifications on your tax related doubts instantly. With online e-filing Form 2290 software, you only need to key in the information once. The program will transfer the data to the different forms including the State Return thereby making your tax Form 2290 Online Filing return process very easy and user friendly. Most of the IRS authorized e-file Form 2290 Online Filing Providers offer free e-file features like downloadable forms, tax calculator, tax professional support and trial versions. Having passed all the suitability checks of authorized e-file Form 2290 Online Filing provider by the IRS and been a leader in this e-file domain for the past 5 years, we at tax2290.com have these high spots in our e-file software for form 2290 other than IRS’s mandatory security requirements, just for you..
About Us: The first IRS authorized service provider for E-File of IRS Form2290 (online filing) … only at Tax2290.com. Tax2290.com is the first IRS authorized service provider for E-File of IRS Form2290 (online filing) for 2018-19 (Schedule 1). We are an entirely web-based provider for filing E-File of IRS Form2290 (online filing) for 2018-19 (Schedule 1). Easily do your Federal Heavy Vehicle Use Tax IRS Form2290 electronic filing for 2018-19 (Schedule 1) and get your IRS tax Form2290 schedule 1 copy with a watermark stamped within minutes. As the first IRS authorized service provider for E-File of IRS Form2290 (online filing) tax2290.com offers proven secure E-File of IRS Form2290 (online filing) services.